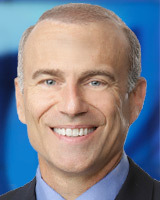 Jim Hoffer has been investigating corruption, wrong-doing and rip-offs for Eyewitness News for nearly two decades. His investigations have put scammers behind bars and have freed people falsely accused of crimes. A series of undercover reports pushed New York lawmakers to close the state's gun show loophole requiring background checks for every gun purchased. His investigation into a New Jersey Transit engineer operating trains despite losing his car license to DWI led to swift action by lawmakers and the removal of the engineer from the rails. When he uncovered a Medicaid fraud operation in Harlem, state officials raided the office and closed it down. Throughout his career, Jim has been honored with more than two dozen Emmys, a national Edward R. Murrow Award, Columbia University's prestigious DuPont Award and a Peabody Award. During nearly 20 years at Eyewitness News, Jim has been on the scene of every major story from 9/11 to Super Storm Sandy to the 2003 Blackout to the crash of American Flight 587 and a rash of deadly train accidents. Jim has two daughters, Emilie, 21 and Carlie, 19. He lives in Manhattan and spends his free time exploring the city on his bike, running in Central Park, swimming, and travelling. He is a graduate of Temple University's School of Communication and Media. You can follow Jim on Facebook and on Twitter. You can also find him on Instagram. Besides involving the same plane type, both airline disasters had foreign pilots from second-tier airlines behind the controls. And in both cases, the pilots struggled with altitude on takeoff. Just days after a 7 On Your Side investigation revealed grapefruit size holes in the critical support columns of a Bronx bridge, the state Department of Transportation made major repairs. Detective Brian Simonsen was caught in the crossfire as seven officers fired 42 rounds at a suspect said to be charging at them with a fake gun inside a Queens T-Mobile store Tuesday night. The prostitution charges against a Florida woman has been dropped following a 7 On Your Side Investigation that revealed her sister had used the woman's name when stopped by Paterson Police.